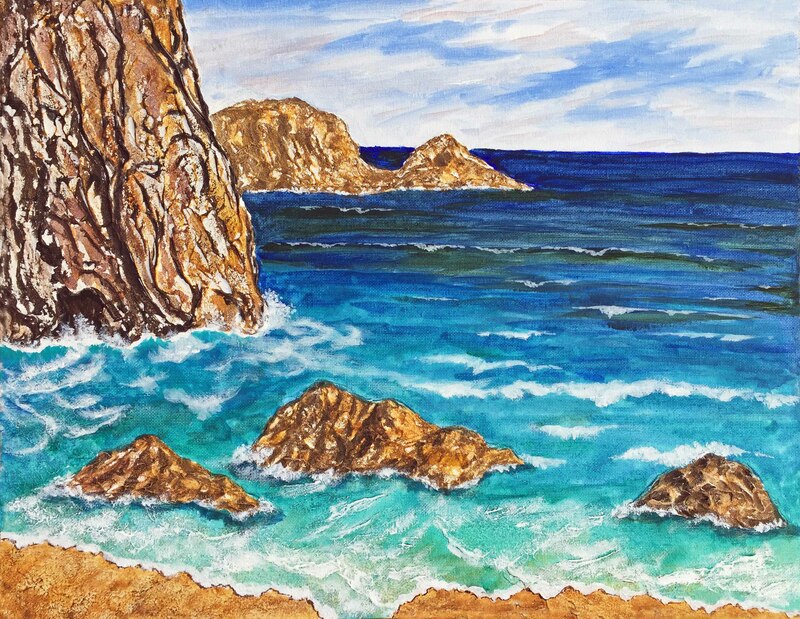 Free downloadable seascape paintings to print and share. 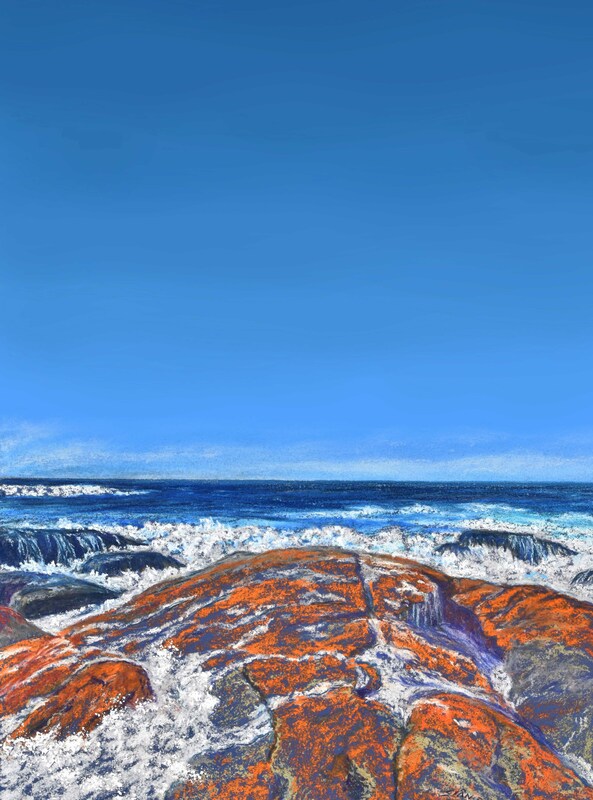 Following her worldwide success painting Australian Outback scenes (she has been number one for the search terms “Australian Outback paintings” on Australian Google image search for years, and often first through fourth, or better), Sian is excited to be embarking on a new course, turning her talents to painting seascapes. Her first two paintings have sold already, and the second was sold before she finished it! Sian is fortunate to have access to the Bay of Fires area in Tasmania, which has some of the most outstanding seascapes in the world. 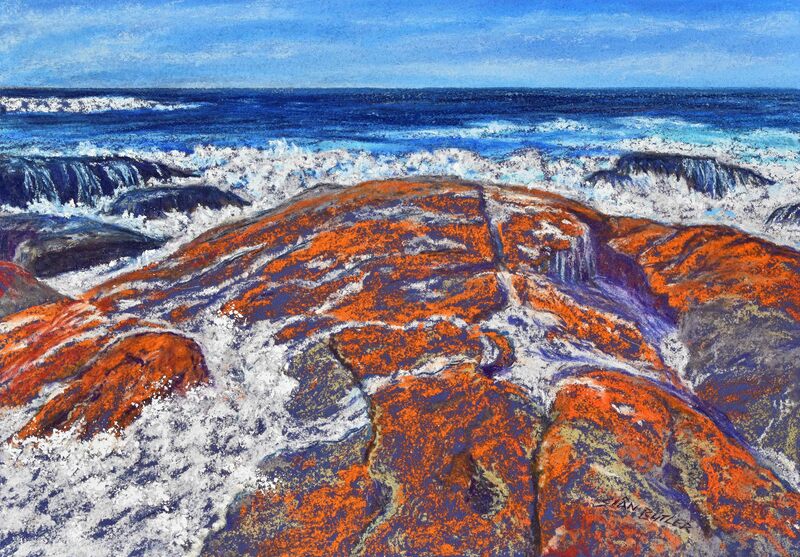 A feature of this pristine area is the granite rocks with vibrant, deep orange lichen, which perfectly complements the intense blues of the sky, and the blues and turquoises of the sea. I have seen some of the most beautiful coastal scenery in the world, in South Africa, Cornwall, Wales, Pacific islands and Australia, and the Bay of Fires area in Tasmania (Australia) is a standout among the best of the best. 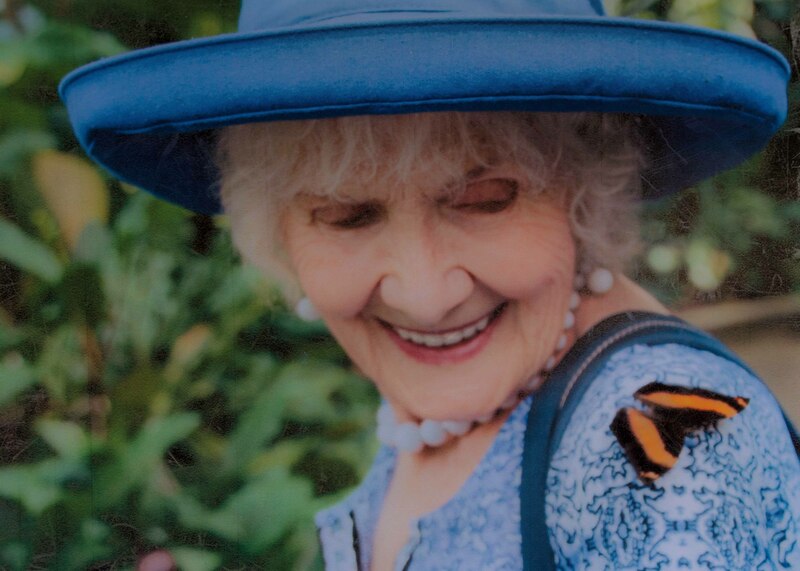 The artist and poet Sian Butler. 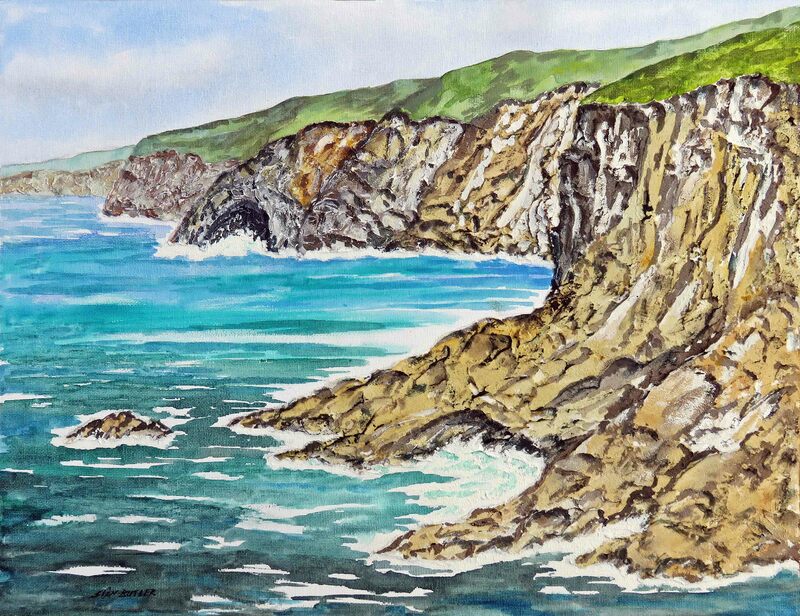 The latest seascape by Sian Butler. 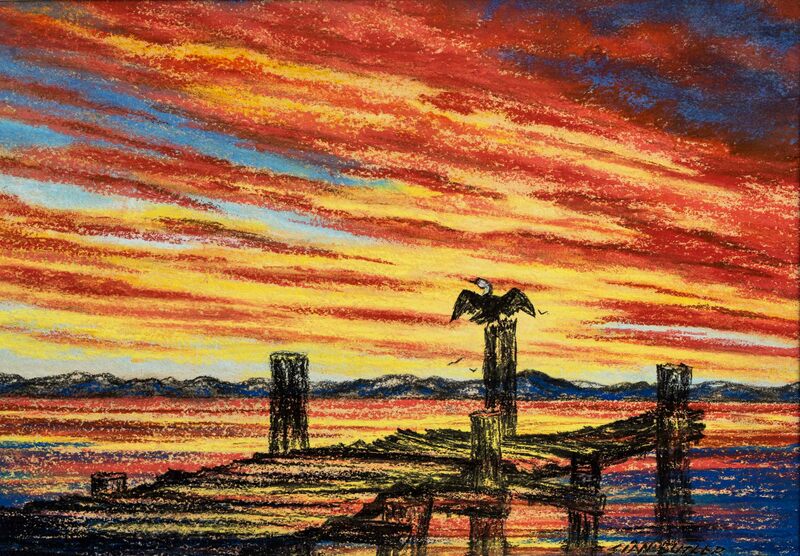 Cormorant sunset. Pastel painting by Sian Butler. “Sea Cave”. New seascape painting (2018) in acrylic by Sian Butler. 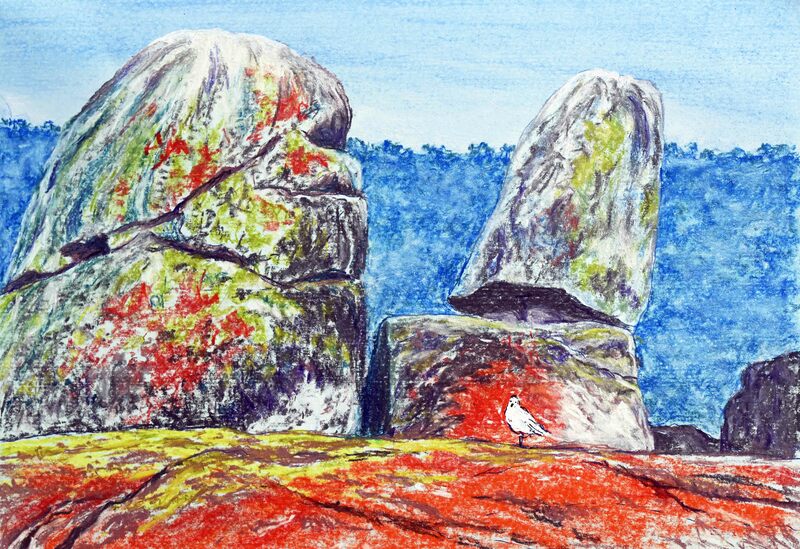 See the “Australian Outback Paintings”, “Outback Church Paintings”, and “Australian Bush Poetry” pages for more of my mother’s wonderful paintings and poetry. “Crashing Wave”. 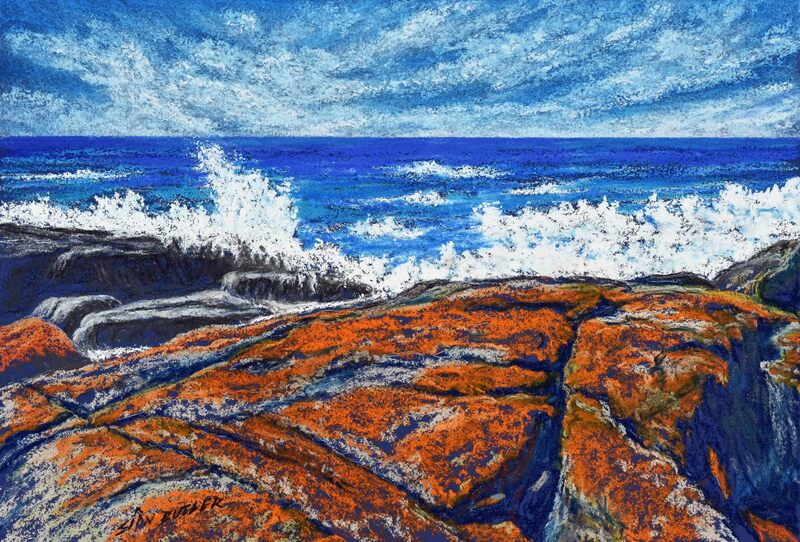 Pastel seascape painting by Sian Butler. Bay of Fires (“The Gardens” area), Tasmania, Australia. A darker painting of the same scene further down the page. Balancing Boulders. Bay of Fires, Tasmania, Australia. Pastel seascape by Sian Butler. Georges Bay, Tasmania. Pied cormorant. Pastel painting by Sian Butler. “Rock Pile”. Bay of Fires (Binalong bay), Tasmania. Pastel seascape painting by Sian Butler. 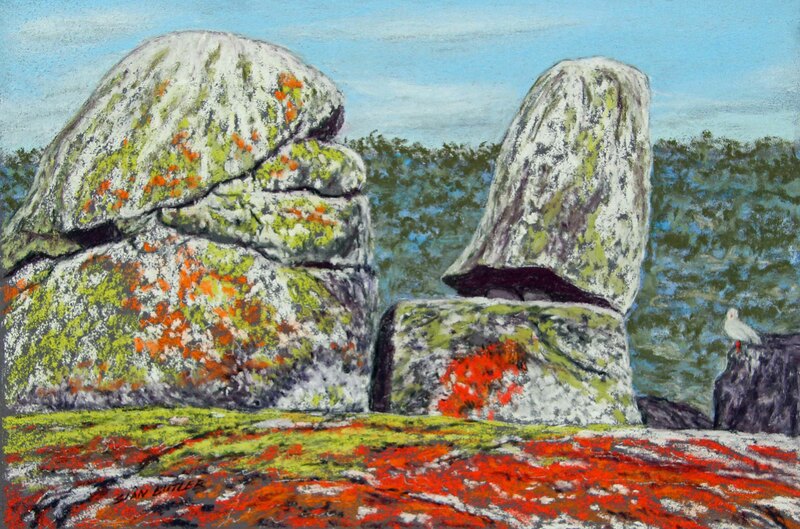 “Colourful Lichen”. Bay of Fires (“The Gardens” area), Tasmania. Australia. 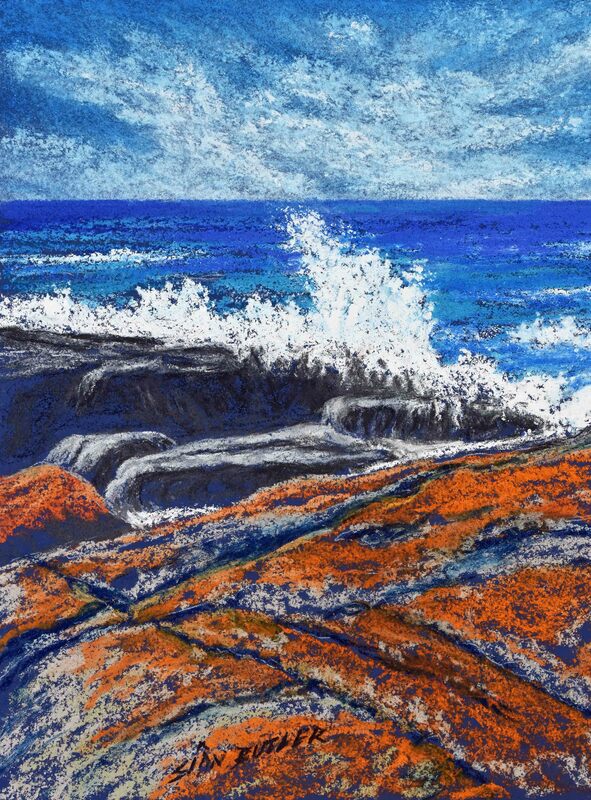 Seascape pastel by Sian Butler. 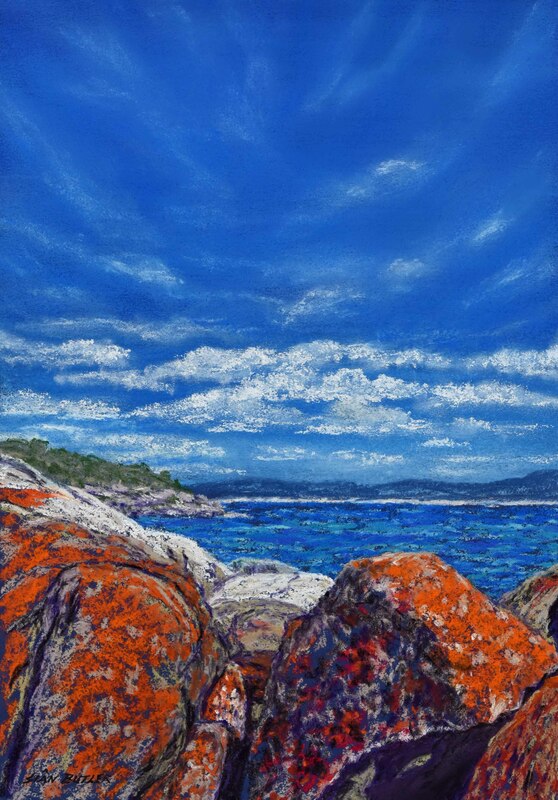 “Bay of Fires”. 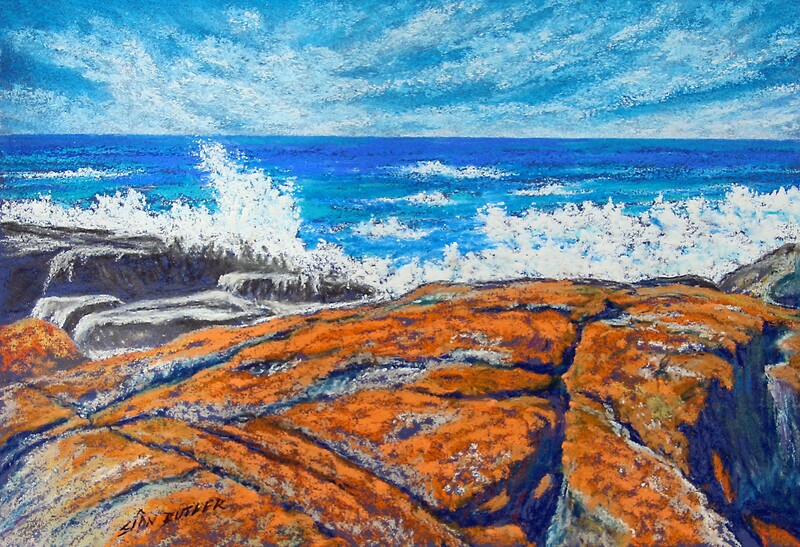 Australian seascape painting in pastel by Sian Butler. Burns Beach, near St Helens, Tasmania, Australia. 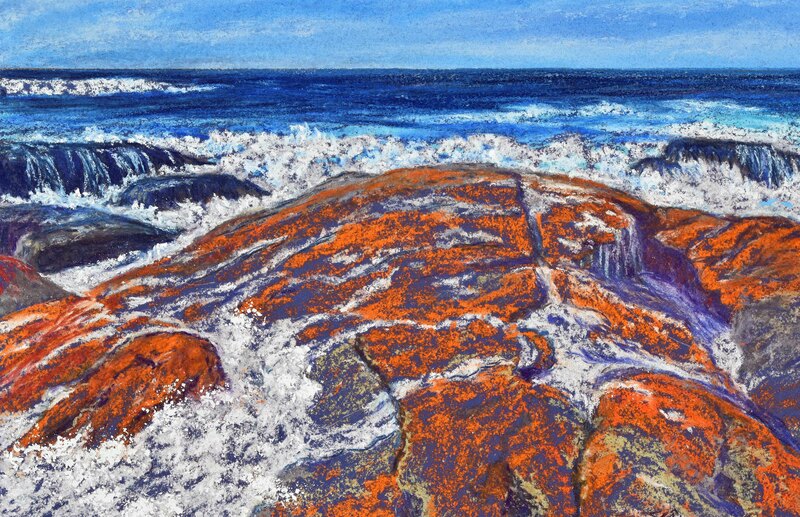 “Bay of Fires” pastel seascape painting by Sian Butler. Burns Beach, near St Helens, Tasmania, Australia. “Bay of Fires Abstract 1”. Pastel abstract painting by Sian Butler. A close up of Sian’s bold pastel strokes. 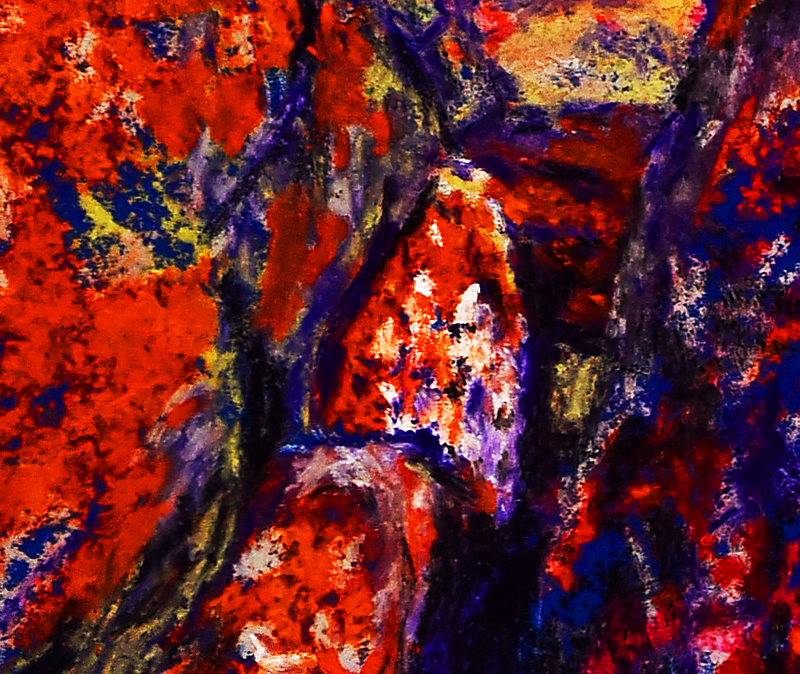 I cropped this lower portion of the painting and intensified the colours a little to produce what I think is a wonderful abstract painting. A hint of Sian’s zest for life reveals itself in her exuberant pastel strokes. A left click on the painting will bring up a larger image. Be still and know that I am God. Psalm 46:10. Pastel painting by Sian Butler, poster by David Clode. 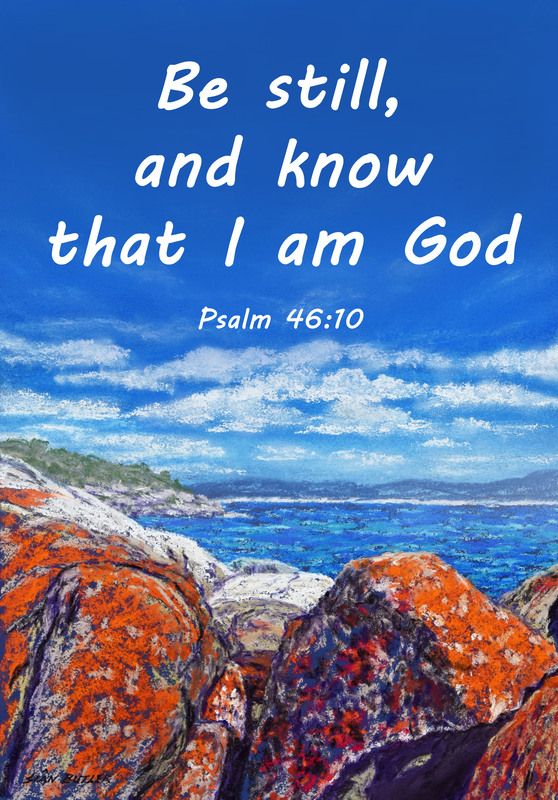 This Bible verse poster is free to download, print and share. Please do. 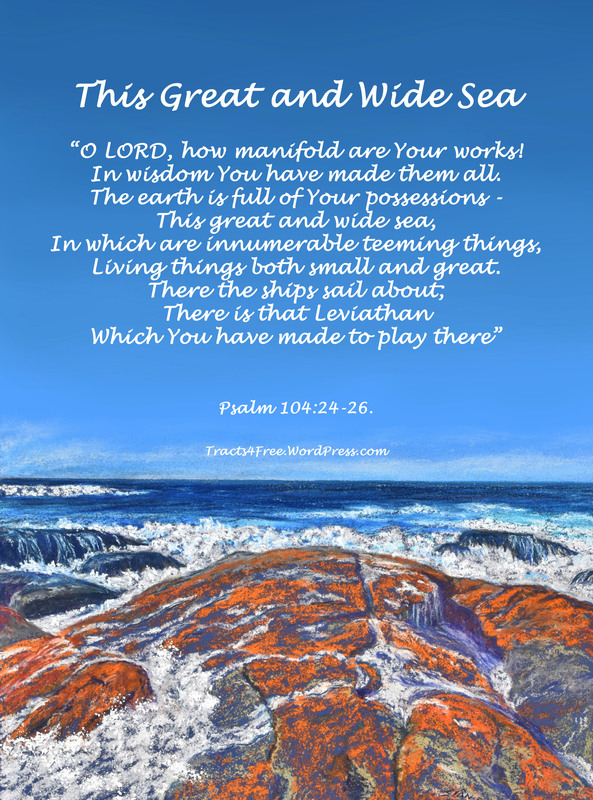 Another poster below, with more verses from the same Psalm. 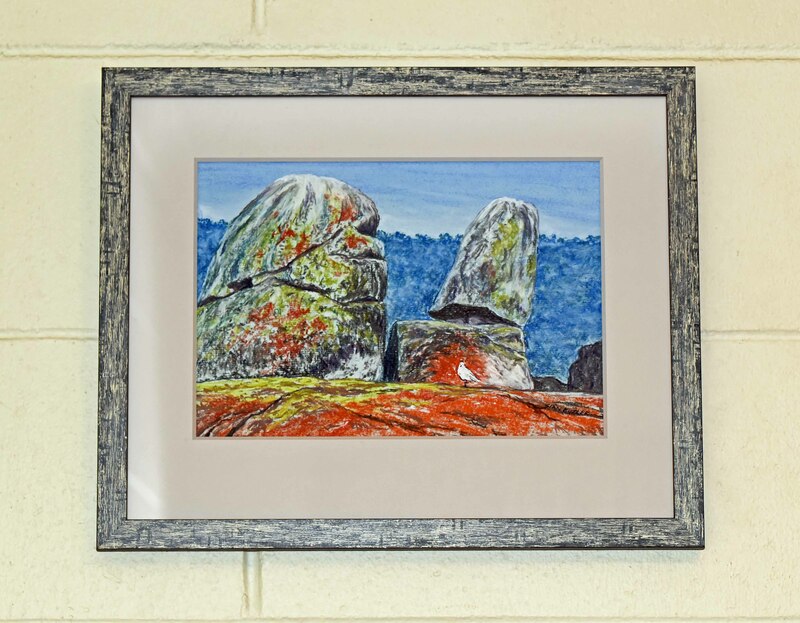 “Binalong Boulders”. Binalong Bay, Bay of Fires area. Pastel painting by Sian Butler. 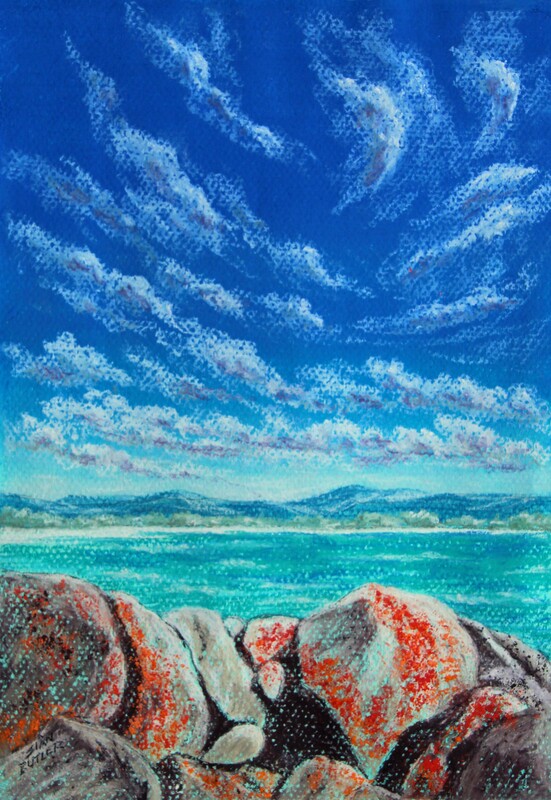 “Binalong Boulders Panorama”. Binalong Bay, Tasmania, Australia. Pastel painting by Australian artist Sian Butler. Bay of Fires 2, Composition 2. Seascape by Sian Butler. “The Gardens” area, Bay of Fires, near St Helens, Tasmania, Australia. It is unusual for the sea to be so rough in this area. Bay of Fires. 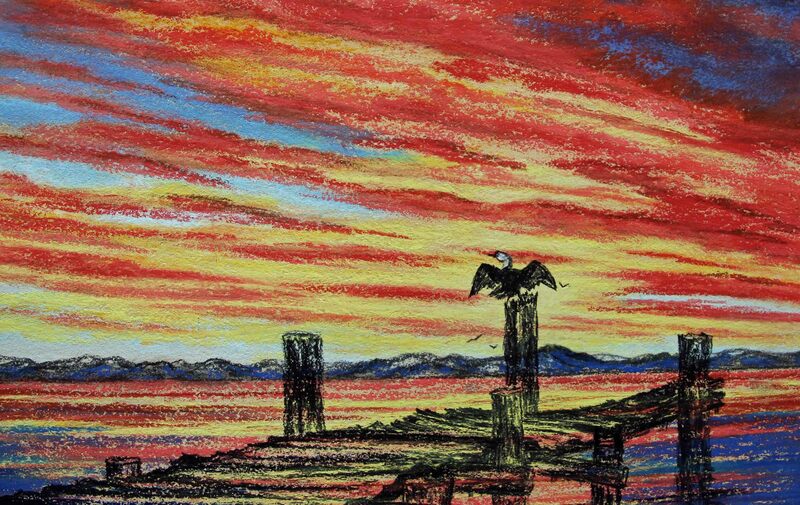 Pastel seascape by Sian Butler. 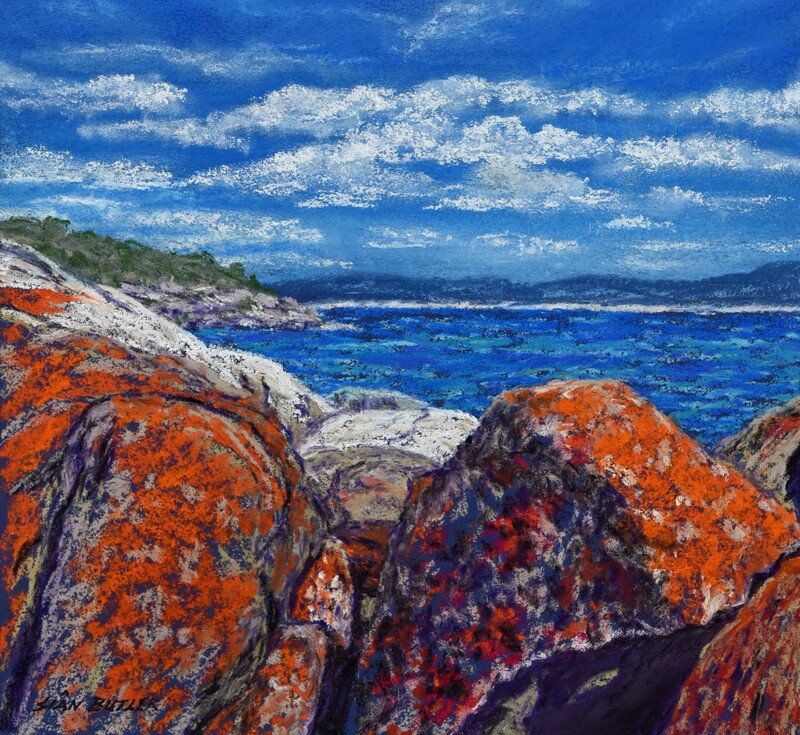 “Bay of Fires 2”. Sian Butler. I have extended the sky in Photoshop, so that it can be used to make posters. One of the many things I love about Sian’s seascapes is how from close up they are obviously paintings, so you can enjoy the vigorous strokes and textures (so much more interesting than a photograph, and I say this as someone who is into photography), while from slightly further away, the paintings appear photo-realistic. The paintings are obviously the work of someone who has mastered both the medium and the subject matter. 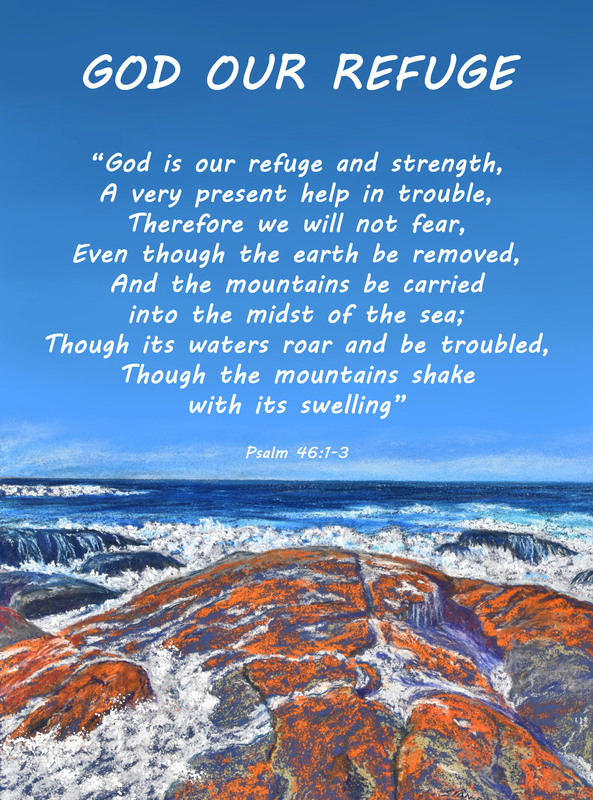 “God Our Refuge” Scripture poster. Psalm 46:1-3. Painting by Sian Butler, poster by David Clode. You are welcome to print or photocopy these Bible verse posters. 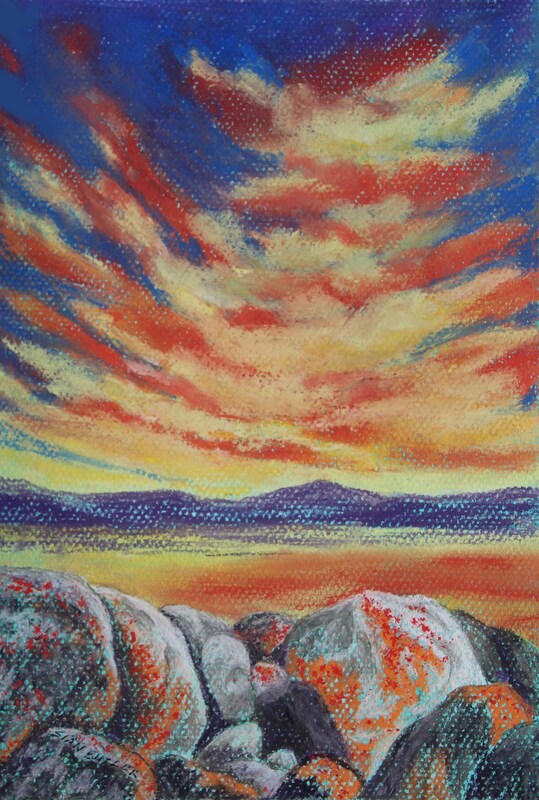 “Bay of Fires 3”. 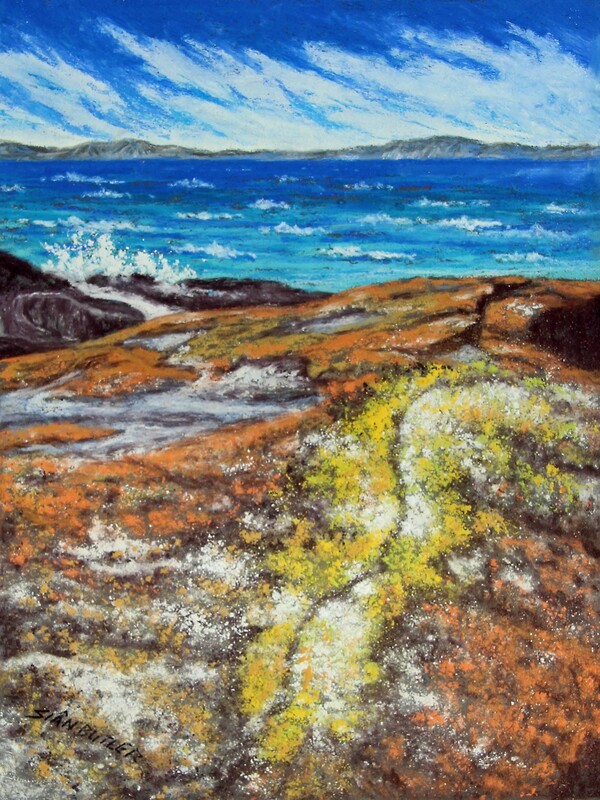 Seascape pastel painting by Sian Butler. 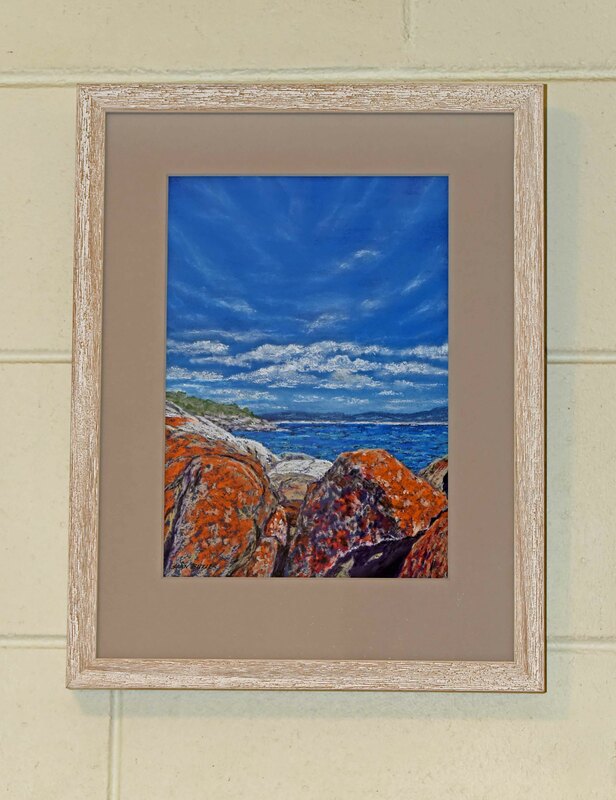 “Bay of Fires 3 Composition 2”. Pastel seascape by Sian Butler. I particularly like the dramatic angles in this painting, and how the waves and clouds echo each other. “The Gardens” area of the Bay of Fires, Tasmania. 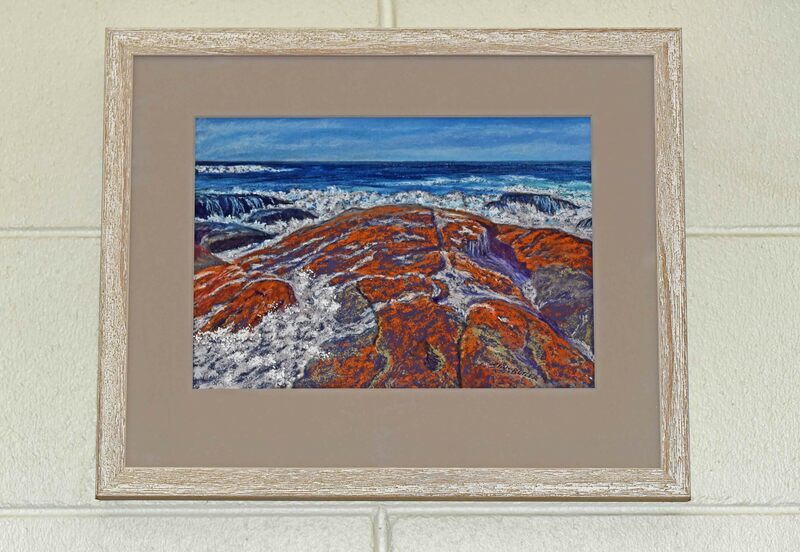 You may also be interested to see the page “Australian Seascape Paintings 3” (some of my seascape paintings), and for photos of seascapes, “Photos Australian Seascapes”, and for more photos of Tasmania, “Photos Tasmania” with photos of Tasmania by my brother Bryan Clode, at another of my sites, Reforestation.me.